This week is your last chance to register for the Geological Curators’ Group Annual Conference; 4th-5th December 2018. The title is Inspiring Volunteers – Promoting Collections and the programme is a fantastic line up covering topics such as ‘What makes a volunteer project work?’, ‘New and innovative ways to upskill yourself or your volunteers, without emptying the bank account’, as well as ‘Progress reports on projects which simply could not happen without volunteers’, discussion groups, posters, and behind the scenes tours. Get in touch with us at agm2018@geocurator.org or book your place on our website here. There is a one day conference called Conservation Matters in Wales, taking place at Insole Court, Llandaff, in Cardiff. The aim is to ‘explore the relationship between the conservation of tangible heritage and its associated intangible values’. 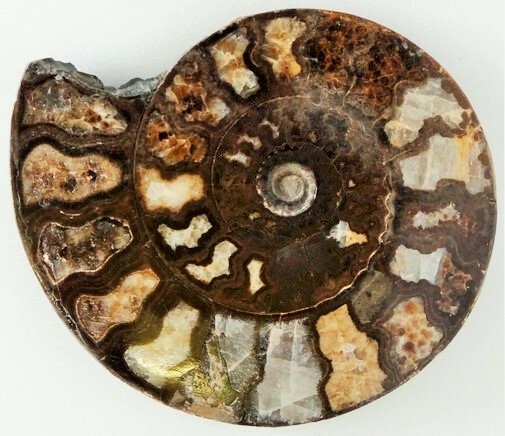 NatSCA is holding a one day conference on 30th January 2019 called Finding Funds for Fossils, Ferns and Flamingos: How to secure money for museum collections. Numbers are limited and it is first come first served so get over to Eventbrite asap if you want to book. Also from NatSCA is the Call for Papers for their annual conference in May 2019, called Dead Interesting: Secrets of Collections Success. The aim of #NatSCA2019, due to take place in Dublin, is ‘to unlock the secrets of collections success by sharing how our members and colleagues in the wider sector have used collections to benefit their organisations, communities and the wider world’. Abstract submissions close on 4th January 2019. The third Digital Data in Biodiversity Research Conference, is due to be held in June 2019, at Yale University. The conference is being organised by Yale University and Yale Peabody Museum of Natural History in collaboration with iDigBio of the Florida Museum of Natural History. Registration and the Call for Papers are due to open in January, so watch the above website. Also in June next year, the Society for the History of Natural History is running their annual conference in collaboration with us, the Geological Curators’ Group, called; Trading Nature. It will take place at The King’s Manor, University of York, 4th – 5th June 2019. The Call for Papers has just gone out, closing date 11th January, and we are encouraging geological and palaeontological submissions for an Earth Sciences themed session. As it is a joint meeting, members of GCG get the members rates for registration. Perhaps a bit early for anyone who uses a paper diary but the dates for next year’s World Congress on Geology and Earth Science have been released; 11th-13th July 2019 (in case you couldn’t wait any longer to know). The Museums Association one day conference Don’t Stop Me Now; Launching Your Museum Career is now sold out, but if you wanted to go and couldn’t get a place, I’m sure people will be tweeting about it. So if you use that platform, you should be able to follow the day’s proceedings. Raising Horizons is currently exhibiting Portraits Highlighting Women in Archaeology and Geoscience Past and Present at the Keiller Museum in Wiltshire, until the 30th November 2018. The description: ‘Fourteen portraits of contemporary ‘trowelblazers’ posed as their historic counterparts’, sounds very enticing. The exhibition is free. Dippy, the Natural History Museum‘s famous vagabond sauropod is currently on display at Ulster Museum, part of National Museums Northern Ireland, and will star in the exhibition Dippy on Tour: A Natural History Adventure. S/he will remain in Ulster until 6th January when s/he is due to come back across the water to Glasgow. Dippy’s complete tour is due to last until 31st October 2020. Of interest to some of you, the Royal Geographical Society currently has an exhibition on called Everest – A Reconnaissance. It exhibits ‘the first platinum prints to be created from the original 1921 negatives housed at the Society – including photographs by George Mallory – and amongst the earliest images to document Everest, the people and places of the region’. It is only on until the 27th November. The Yorkshire Regional Group has organised a lecture; The Geology of Mars & Landing of the Mars Rover at The Adelphi near Charing Cross Station in London on the 28th November. I believe the lecture is in the evening though if anyone knows the time, do let me know! The East Midlands Regional Group has also organised a lecture, by Dr David Norman called The Dinosaur family tree: do we need some relationship counselling? This is also in the evening, though up at the British Geological Survey in Keyworth. Again, if anyone knows the time this is due to take place, do get in touch! At the National Museum of Scotland, the Hidden Gems: Scotland’s Agates exhibition has been extended to 6th January 2019. In case you haven’t seen it yet, here is a super blog about the exhibition to wet your appetite. The Essex Gem and Mineral Show, hosted by the Essex Rock and Mineral Society, will take place in Romford on Saturday 23rd February 2019. To quote one ERMS member; ‘It is one of only a handful of ‘proper’ collectors’ fairs around Britain’, so clearly you won’t want to miss it. The Royal Observatory, Planetarium & Astronomy Centre in London is showing an exhibition called Hubble Vision. It comprises 31 spectacular images from the Hubble Space Telescope spanning three decades, and including the top 100 best images from Hubble, ever, as voted for by NASA! On until May 2019. Although we are going to have to wait until summer 2019, I have heard (solid) rumours of a brand new exhibition focused on our moon (wooooh!) coming to the National Maritime Museum. I’m excited about it so thought I’d just slip it in. The Department of Earth Sciences at Oxford University is advertising for a Postdoctoral Research Assistant in Macroecology, within the Invertebrate Palaeontology Group. The closing date is 23rd November 2018.
to work in the International Engagement Department. The closing date is 9am on the 27th November 2018. A bit left field but Chester Zoo is currently recruiting for a Senior Exhibitions and Interpretation Officer. The position is for 18 months, and the closing date is the 28th November 2018. National Museums Scotland is looking for a John Ellerman Project Curator who’s primary role will be to assess the palaeontological collections in Scotland. It is a fixed term position for two years. The closing date is 9th December 2018. Finally, the South West Heritage Trust is offering a 12 month Museum Futures Traineeship, to start on the 21st January 2019. Applicants must be between 18 and 24 years old, with little or no museum experience. If you are interested, you can find our more here. If you would like to contribute content and get some free advertising, please email blog@geocurator.org.